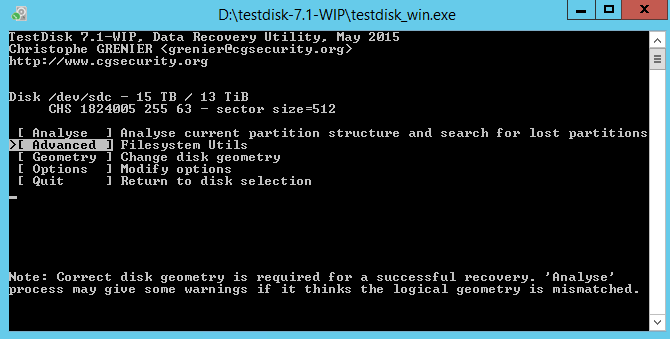 Hint: EFI GPT partition table type has been detected. I'm not sure if that's because it is actually damaged (which I could see, since the amount is low), or if it's because it is treating it as NTFS instead of ReFS. Until yet I didn't have a case with ReFS. 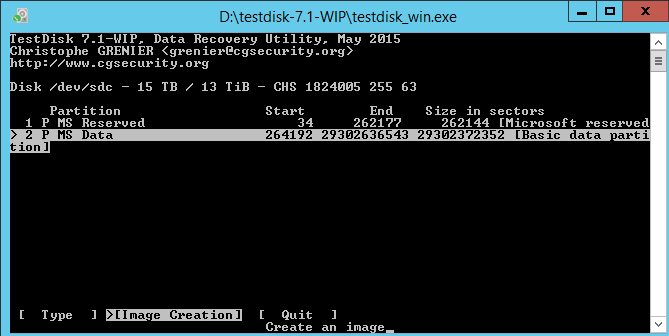 To figure out more, can you copy and paste the content of your testdisk.log? For example exFAT uses a NTFS-partition but the file system and bootsector are exFAT. Watch the boot sector and its backup. If it'd be for sure that ReFS uses partition type 07 for NTFS you probably could write it into your partition table. But only if it's necessary. Your log file would be appreciated. At this point I didn't write partition to disk, should I try that? No, you shouldn't write that partition. As I've mentioned above, I have no idea about ReFS. That's why I'm trying to help as far as possible. Nope I didn't miss it. But I'm trying to test, how far would testdisk be able to help you? For example you were running testdisk quick serach. Your found partition and your partition in your GUID partition table have both a different length. As you already wrote it's a 10 TB partition and I assume that's probably not the correct one or wrong. That's why you have not been able to list files. Something to try would be to run testdisk / Advanced. You should check your affected partition. A screenshot would be appreciated. If the menu List is available please have a try to list your files. Confirm at the menu Boot and upload another screen shot. Fiona wrote: Something to try would be to run testdisk / Advanced. Sorry if I am misunderstanding - what should I do in the Advanced menu (screenshot below of when I choose Advanced)? And where is the Boot menu option? For example, if you have a supported FAT or NTFS partition, testdisk will display the menu Boot. If you have a Linux partition there will be the menu Superblock. It looks like that ReFS is not supported? That's why Boot is not available. Even if PhotoRec can recover underlying data. Ah got it. That's unfortunate... thanks for your help in trying to figure it out though, very much appreciated! I'm no expert, but I am observant. IIRC reiserfs is your ReFS filesysytem ! I do not know if this is of any help, but I felt it deserved mention. ReFS should probably become a successor of NTFS.